Looking for new ways to engage with its audience, Facebook says people who use its Messenger chat service will soon be able to order flowers, shop for shoes and talk with a variety of businesses by sending them direct text messages. And soon, if you haven't "chatted" with those businesses on Messenger in a while, they'll be able to send you a paid message that offers a special deal or encourages you to buy a product you liked before. CEO Mark Zuckerberg used Facebook's annual software conference Tuesday to describe its latest initiatives at a time when some reports indicate people may be sharing less personal information on the social network -- either because of privacy concerns or the growing appeal of competing apps. Analysts say that underscores the importance for Facebook of adding more features to its growing chat services: It needs to keep people engaged -- and continue to learn about their interests for advertising purposes. But Zuckerberg also reiterated Facebook's goals for connecting people around the world, adding a jab that seemed directed at the likes of Republican presidential front-runner Donald Trump and others who have called for cracking down on immigration and rebuffing refugees. "As I look around the world, I'm starting to see people and nations turning inward," Zuckerberg said at one point during a keynote speech that mostly focused on new software initiatives. "I hear fearful voices calling for building walls and distancing people they label as 'others.' I hear them calling for blocking free expression, for slowing immigration, for reducing trade, and in some cases even for cutting access to the Internet." Zuckerberg went on to say he prefers optimism over fear and believes technology should be used "to build bridges" instead of walls. The billionaire tech mogul has previously backed efforts to ease U.S. immigration restrictions and provide more Internet access in developing countries. Facebook's founder also talked about using drones, satellites and even a giant solar-powered plane that he hopes will eventually bring internet connectivity to billions of people. "This is an engine pod," he explained. "It's made of carbon fiber, so it's actually pretty light." Zuckerberg said he expects the Facebook plane to launch in a few months, first to deliver connectivity to sub-Saharan Africa. Most of Zuckerberg's talk, meanwhile, was focused on new ways that people can use chat services, live video and even virtual reality technology to communicate. "It's going to take a long time to make this work, but this is the vision and what we're trying to get to over the next ten years," he promised. Also speaking to the benefits of virtual reality, tech analyst Tim Bajarin of Creative Strategies said, "Virtual reality has the potential of allowing us to be in a scene, in a condo we might want to rent, or a cruise ship." With its new emphasis on chatting with businesses, Facebook is joining several tech companies working to promote the use of intelligent software programs known as "chatbots," which let businesses interact with customers in conversational language. Microsoft recently announced a similar effort with its Skype service, but Facebook appears further along. Facebook already has more than 30 companies signed up to deploy chatbots on Messenger, including major corporations like CNN, eBay, Burger King and Bank of America. Facebook is also releasing programming tools that other companies can use to build their own chatbots for Messenger. Facebook is also making it easier for individuals to contact businesses by searching for their bots within Messenger or clicking on an ad in Facebook's regular news stream. But Vice President David Marcus said the company wants to be careful not to annoy users by filling the Messenger app with unsolicited spam. 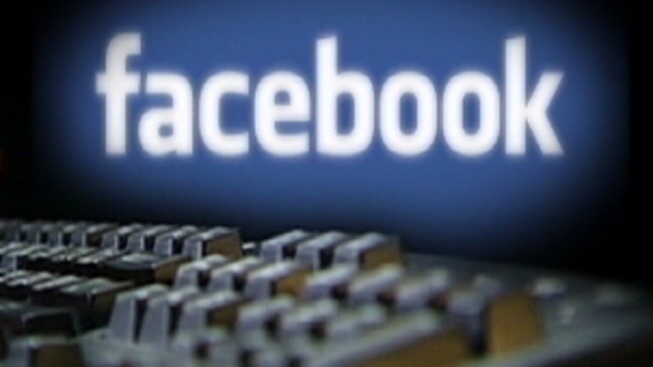 Facebook is testing a program that charges businesses for the opportunity to send a "sponsored message," but they'll only be able to contact people who are existing customers or have already messaged the business, Marcus said. Individuals on Messenger will be able to block future messages from a business at any time. That's consistent with the conservative approach Facebook has used to gradually introduce paid video ads on its main platform and commercials on its Instagram photo-sharing service. The company doesn't want to risk driving people away with too many annoying ads, Marcus said. "It's a very high-quality, personal environment," he said in an interview. "We want to keep it that way." The effort comes as more people are embracing the Internet chat service and its competitors. Messenger now has 900 million active users worldwide, while WhatsApp, another chat service owned by Facebook, claims 1 billion. "More and more of our mobile time is spent within messaging," said Ken Sena, an investment analyst at Evercore ISI, who examined the apps in a recent report. He's one of several analysts who say they believe consumers would prefer talking to a business within the messaging app they're already using, rather than download a separate app and create another user name and password for each business. Facebook Inc. is also releasing a host of other tools for developers to build apps that work with its services, including software for streaming video from drones and other gadgets. The new video push is part of Facebook's effort to compete against Twitter, SnapChat, YouTube and other rivals that are also vying to serve video-hungry viewers.